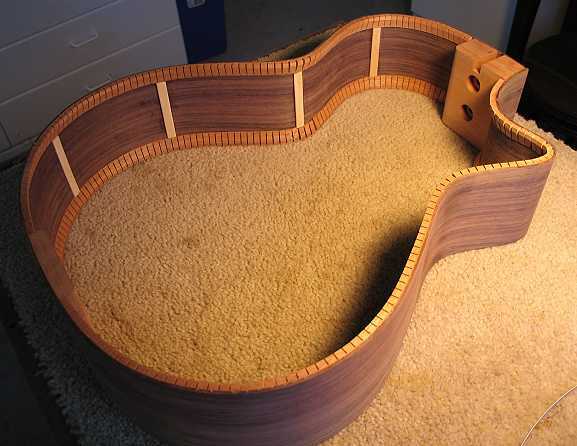 Leveling Frets, Nut & Saddle Work, and Stringing Her Up!!! 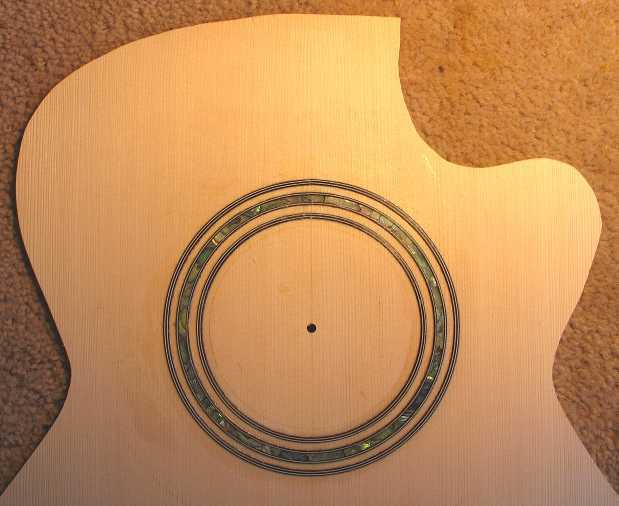 Today I glued in the side reinforcements and routed out the soundhole rosette channels. The side set is really SOLID now!!! 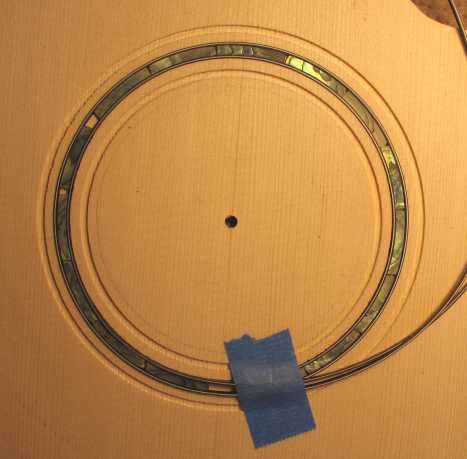 The next thing I worked on was to rout out the channels for the soundhole rosette. I am using the newer Stew-Mac circle cutting jig for the Dremel. It has a wider base than the older model, so it is more stable as you use it. I am going to be installing these curved paua abalone strips, which are .135" wide and .05" thick, with some black/white/black purfling. The inner and outer rings each will be two strips of black/white/black purfling. 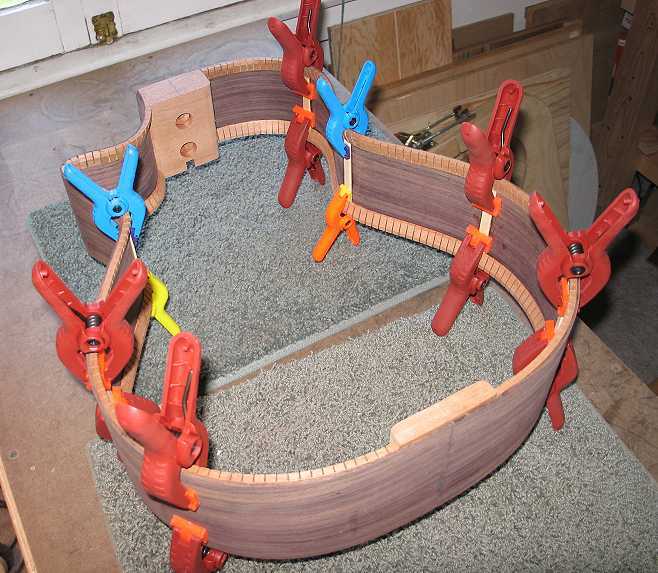 Here I am just checking the fit of the abalone strips and the purfling (no gluing yet). Here is the rosette after it's been glued in. I have not scraped or sanded it down yet. That will be tomorrow!